Today is the birthday of Mamie Smith. 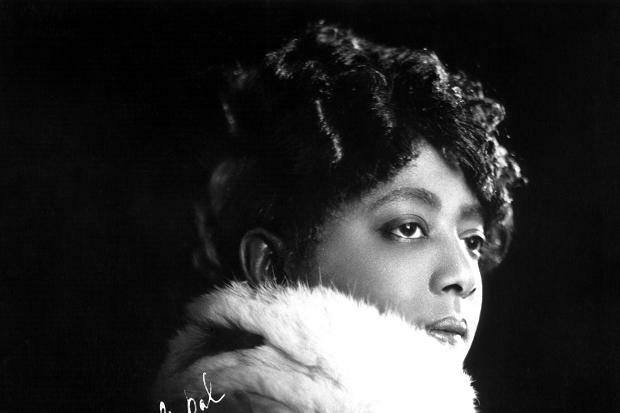 No relation to Bessie, Mamie is best known today for recording “Crazy Blues” in 1920, which created the 1920s craze for “race records” and the classic female blues. More properly described as a jazz singer than a blues singer, she worked the segregated black vaudeville circuits, all-black minstrel shows, and nightclubs from the teens through the 30s, and even appeared in some films late in her career. She died in 1946 at the age of 63. To find out more about Mamie Smith and the history of vaudeville, consult No Applause, Just Throw Money: The Book That Made Vaudeville Famous, available at Amazon, Barnes and Noble, and wherever nutty books are sold.